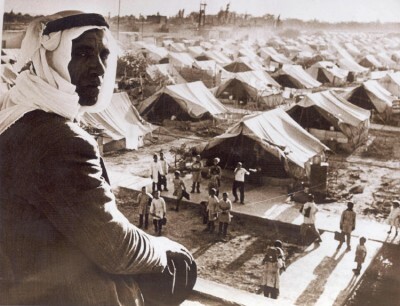 Can Holocaust Compensation Agreements Be a Model for Nakba Reparations to Palestinians? I went to an event last night and sat next to an insider in German and Austrian diplomacy. Much of the energies of the German and Austrian consulates now involve bringing families of those Jews whose homes, art and books were stolen, back to Germany and Austria to engage in securing reparations. I asked how this was done procedurally. This person said that an agreement brokered by Stuart Eizenstat of the Clinton State Department in the 1990s set a system in motion that established committees in Germany, Austria and other countries to oversee the return of possessions to Jews or their descendants. An archive was kept and art returned…books kept in a central library, books returned…even bank accounts and property returned. When homes had been bought for far below market as Jews were forced to flee, their families are now compensated for the property At Current Market Values. “What about if people are now living in the home?” I asked. This person said then it was more complex but transfers of property even in that case had been done. And…as a result many Jews had returned to Austria and Germany. It was all working out. In 2012, a $300 million dollar deal was reached for the last group of Holocaust survivors to receive compensation, and just last year the Obama administration negotiated a deal with France to pay reparations to American survivors of the Holocaust who were sent to death camps in French trains. How is this not a model for Palestinians who lost property in 1948? On reflection many of the homes and businesses that were transferred after the Nakba/War of Independence (using both terms) would have been possessed by Israelis without compensation or purchase at all. I have seen those houses, been in those houses. Who bought them? How were they paid for? Did people just…move in? And what about Arab businesses…like Jewish businesses in the thirties, there must have been tons of goods and inventory, factories and machinery, left behind….what happened to it, who was compensated? I asked why this system could not be established for Palestinians. The records of where Palestinian homes and businesses were located are often quite complete. People still have deeds and even keys. This person said there was no reason the same system could not be established though I could not quote this person on the record, and that I should reach out to Stuart Eizenstat who is now living in DC, and ask if he will broker the same deal. What do you say, team humanity? Seems like a very good start. To me as a Jew and daughter of a family wiped out by the Holocaust it is symbolically as well as practically healing that these reparations are being made. Shall we contact Stuart Eizenstat? Mondoweiss Editor’s Note: The following is adapted from two thought-provoking Facebookposts author Naomi Wolf published in recent days.